Whispers in the Loggia: "Out of a Catastrophe"
Topping this Tuesday's headlines in Ireland: a landmark address on "the future of the church" on the Isle, given last night by Archbishop Diarmuid Martin of Dublin. 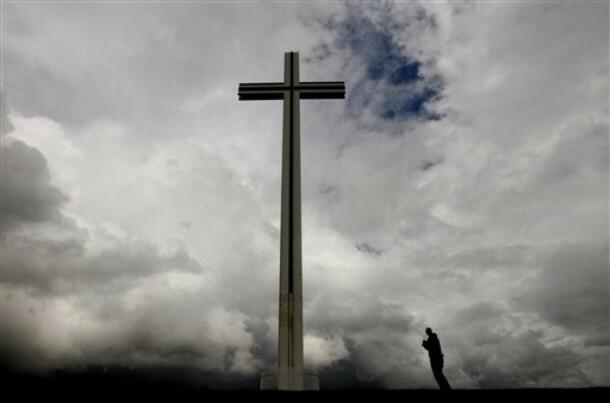 The second and deeper root of my discouragement is that I do not believe that people have a true sense of the crisis of faith that exists in Ireland. We have invested in structures of religious education which despite enormous goodwill are not producing the results that they set out to do. Our young people are among the most catechised in Europe but among the least evangelised. I am a strong proponent of Catholic education; Catholic education has a solid track record. I see an important future for Catholic education alongside and in dialogue with other vibrant forms of education, including that of minority Churches, in our schools. There are fundamental fault-lines within the current structure for Catholic schools that are not being addressed and unattended fault-lines inevitably generate destructive energies. Our system of religious education – especially at secondary level but also at primary level in urban areas - more and more bypasses our parishes, which should together with the family be the primary focal points for faith formation and membership of a worshipping community. I am not attacking Catholic teachers and Catholic schools; they do tremendous work. What is needed is renewal of the vision of parish. Many of our parishes offer very little in terms of outreach to young people. Sure, there's more... but you've got your first taste.